As low-tech innovations go, this is a highly effective way of controlling the risks of manual handling, and increasing productivity. 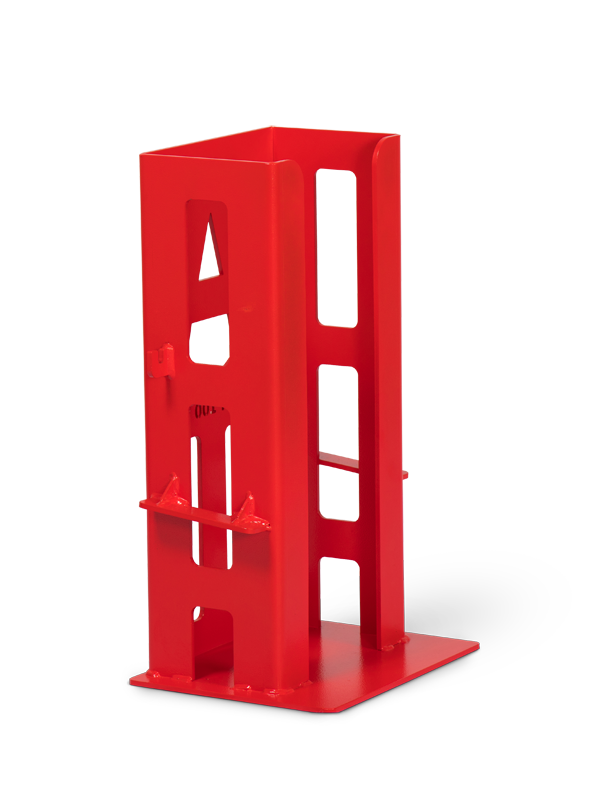 Armorgard, the tools storage and logistics equipment specialist, has introduced its own system for moving test weights on construction sites. 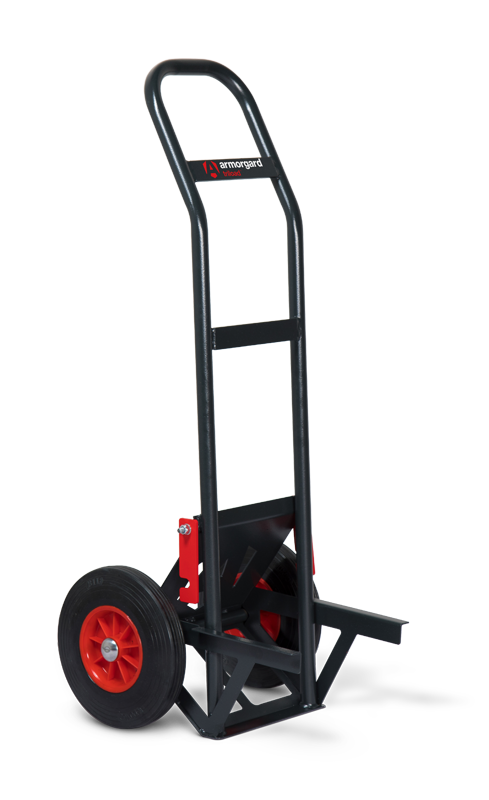 The TriLoad trolley and cage was designed by Armorgard's R&D facility - the team behind other construction equipment innovations such as Rubble Truck, CuttingStation, Forma-Stor and the recently launched XtractaBench. Their latest offering is intended to provide construction workers with a "safe and hassle free" way of manoeuvring test weights into locations, such as lift shafts, catwalks and staging for example, offsetting some of the strain on their muscles and joints and making the whole process more efficient. 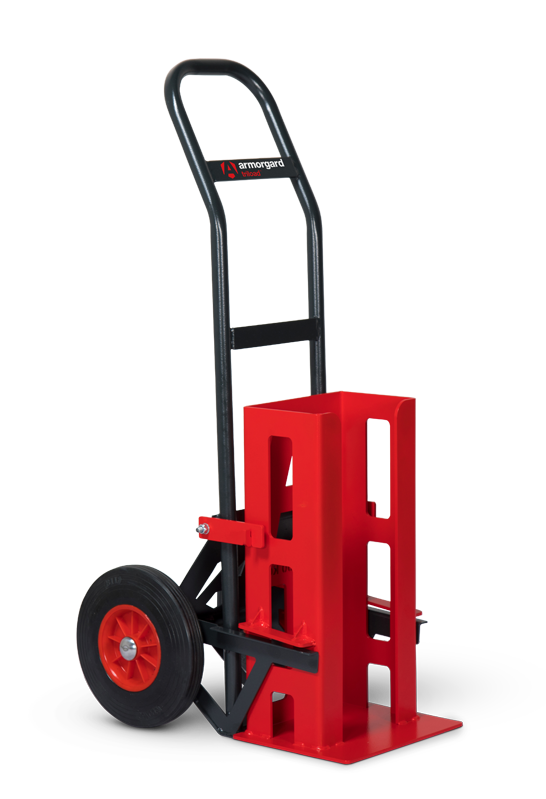 The TriLoad trolley's robust 3mm steel construction and solid, puncture-resistant wheels are tough enough to take the usual rough treatment on site, and fits most test weight cages on the market. Equally, the 20kg cage for the TriLoad, which can hold up to 80kg in weights, is designed to fit most other trolleys and weights from other brands. A 6mm steel plate construction ensures complete integrity and strength, and there is also a large plate at the bottom for ultimate stability. "The TriLoad is a good example of how we focus on finding innovative ways to improve health and safety and help workers become more effective at doing their job." said Armorgard Managing Director, Terry Mitchell.